A bride got the shock of her life after she discovered a message from her mom who passed away. In 2016, her mother was diagnosed with terminal cancer and sadly a year later, her mother died. However, on her wedding day, she found a very special message from her late mother. 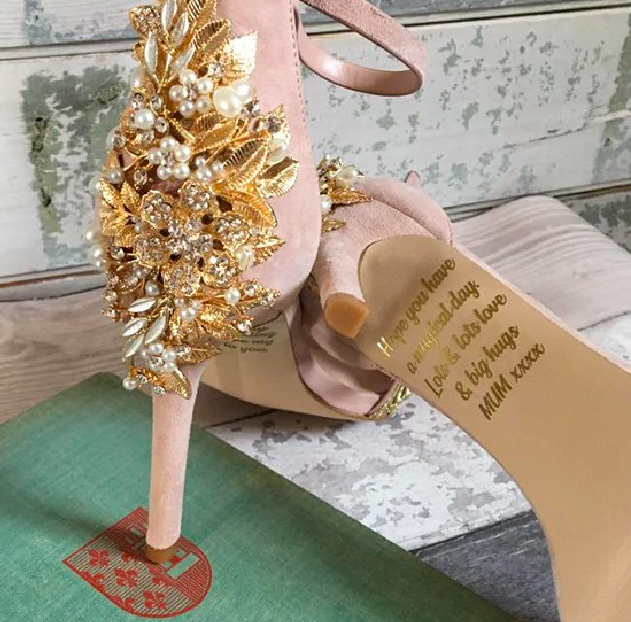 Her mother secretly paid for her wedding shoes, and the bride discovered a heartfelt message engraved on the soles of her customised heels. 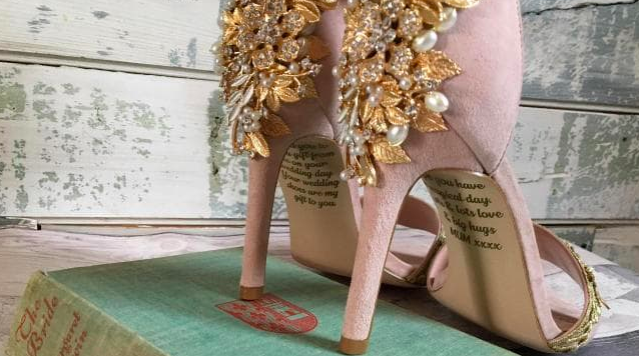 Lace and Love who made the shoes shared the beautiful blush pink and gold shoes with the message on Facebook.